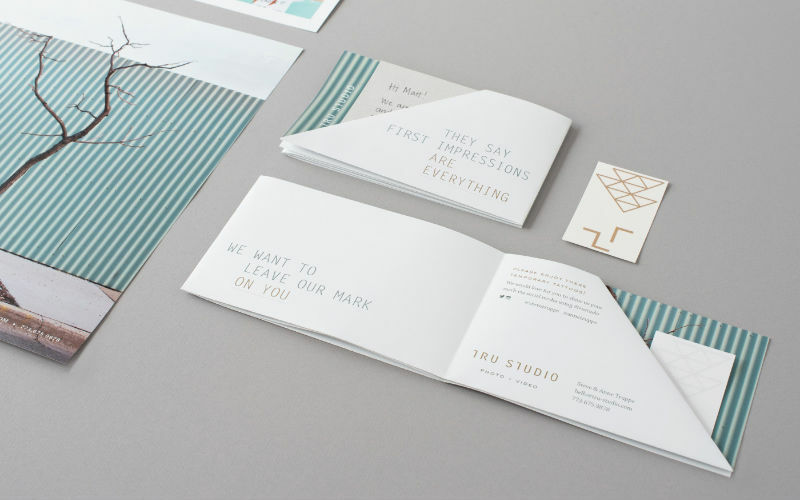 Recently renamed and rebranded, Nimble. 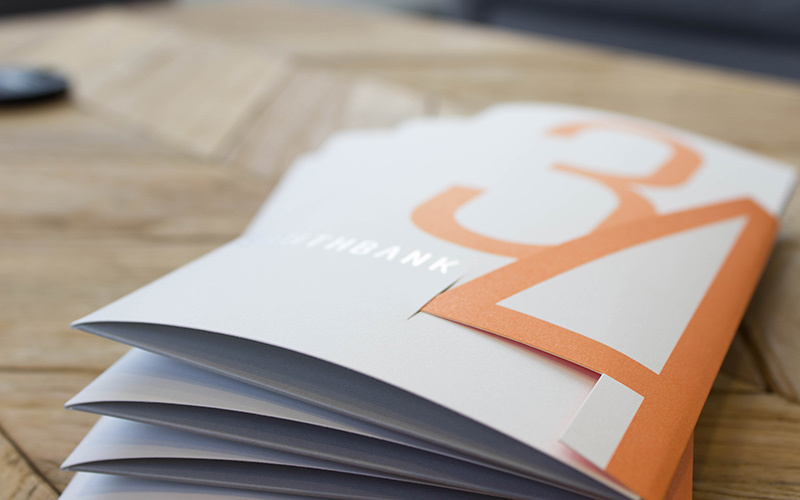 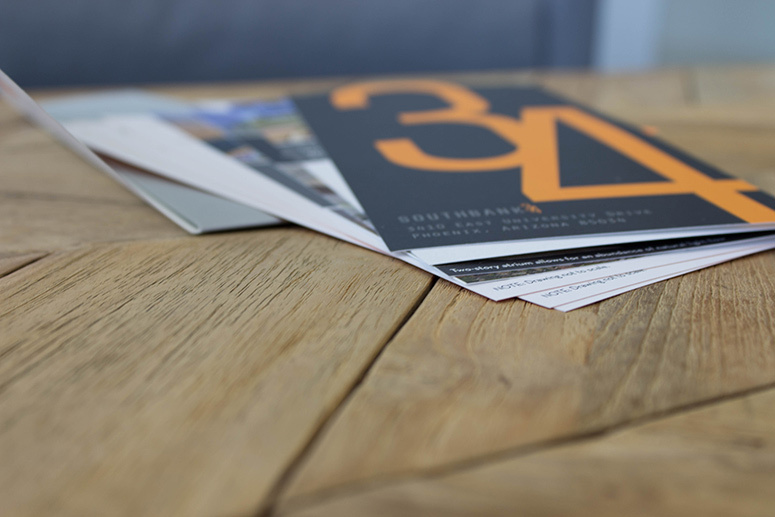 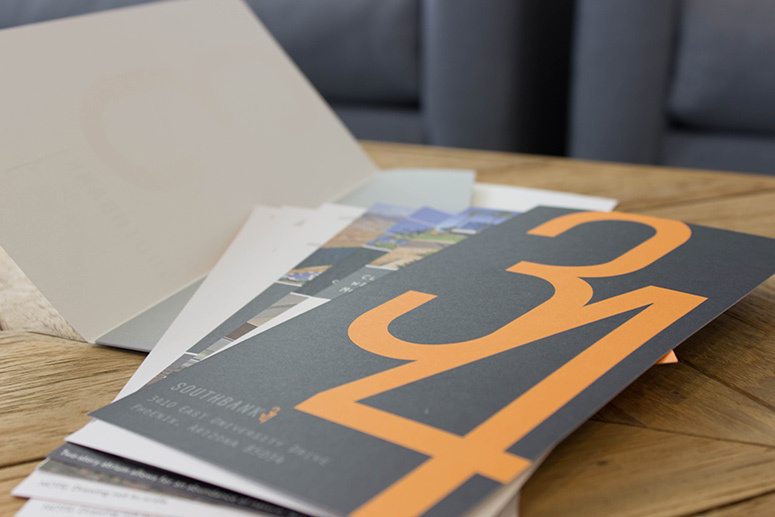 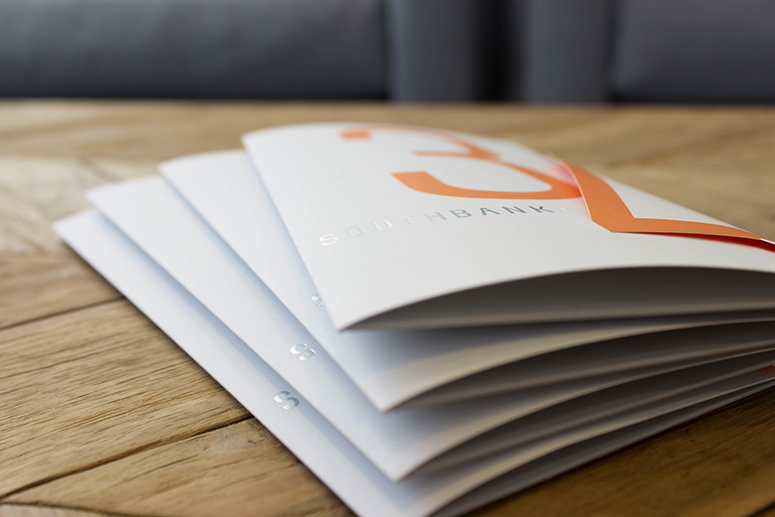 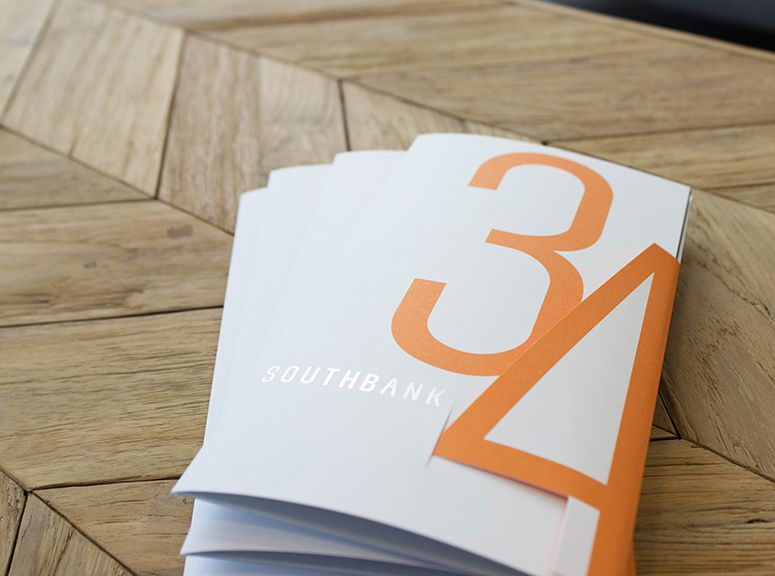 Design Co. was retained to craft and direct hard-hitting, out-of-the-box tour collateral for Southbank34 that could be used in proactive marketing for the project. 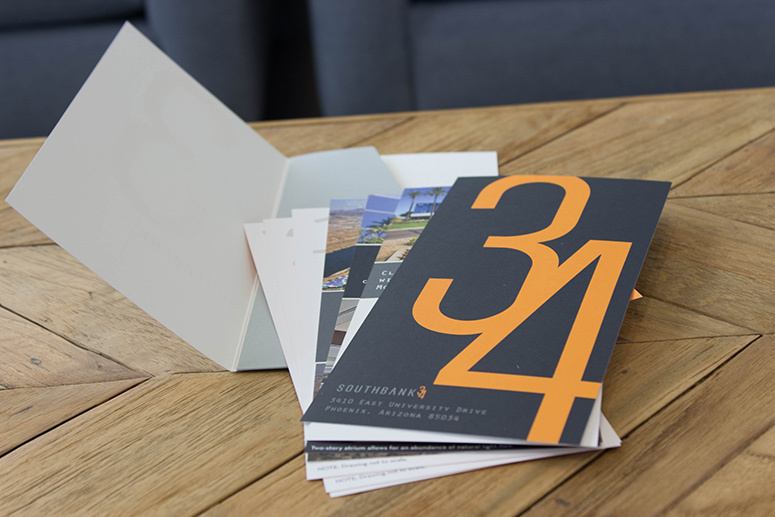 We wanted to craft a unique holder to align to the project brand and stand out amongst other generic collateral received on [a tenant's] tour day. 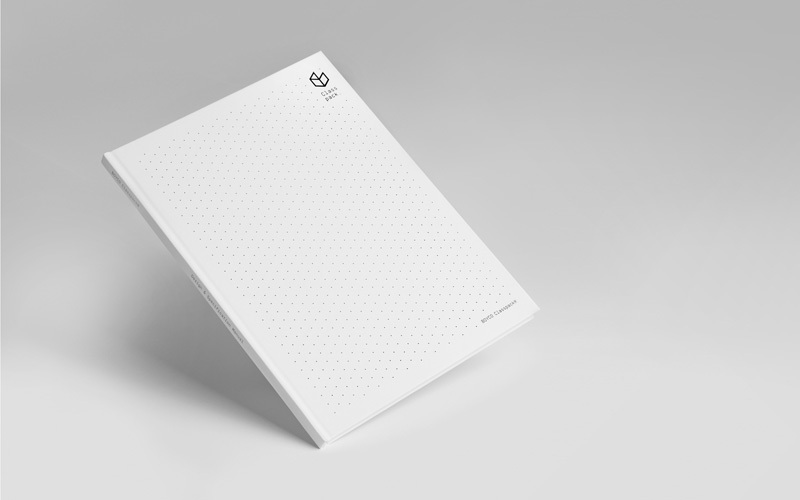 Getting the custom diagonal folder flap to perfectly align was an obstacle. 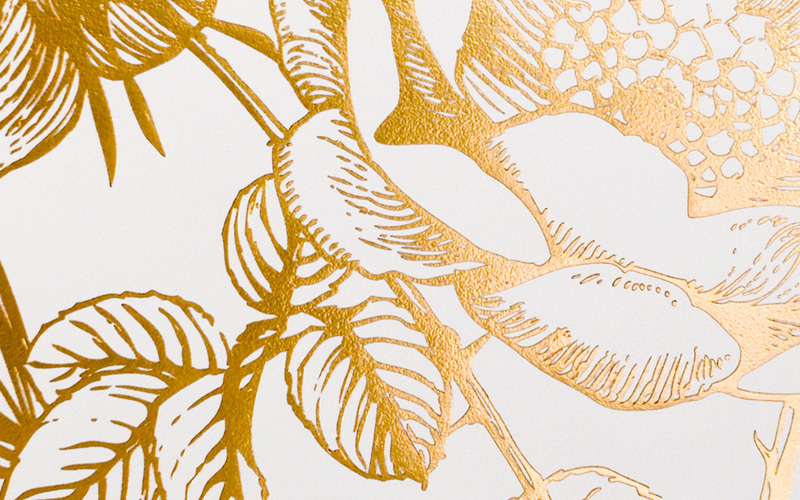 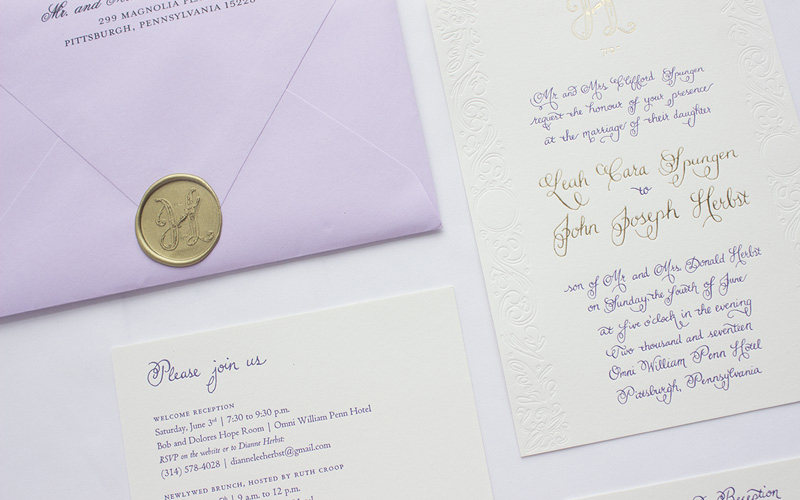 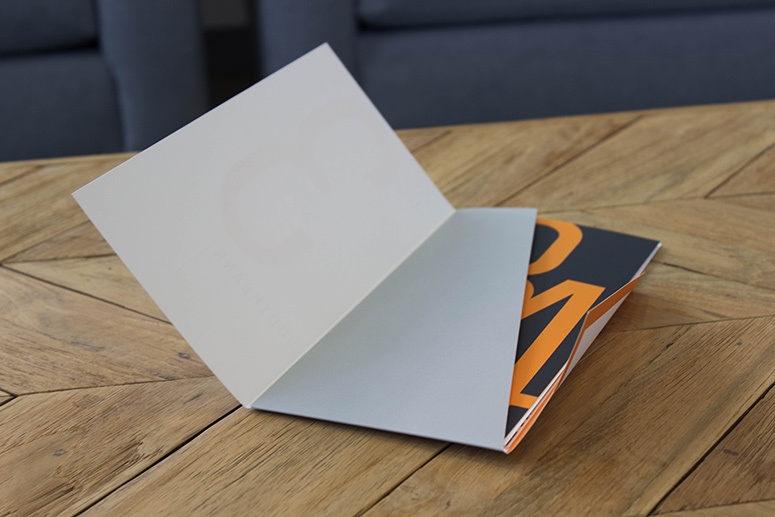 We envisioned this flap folding into the folder front, making this piece more interactive for the recipient. 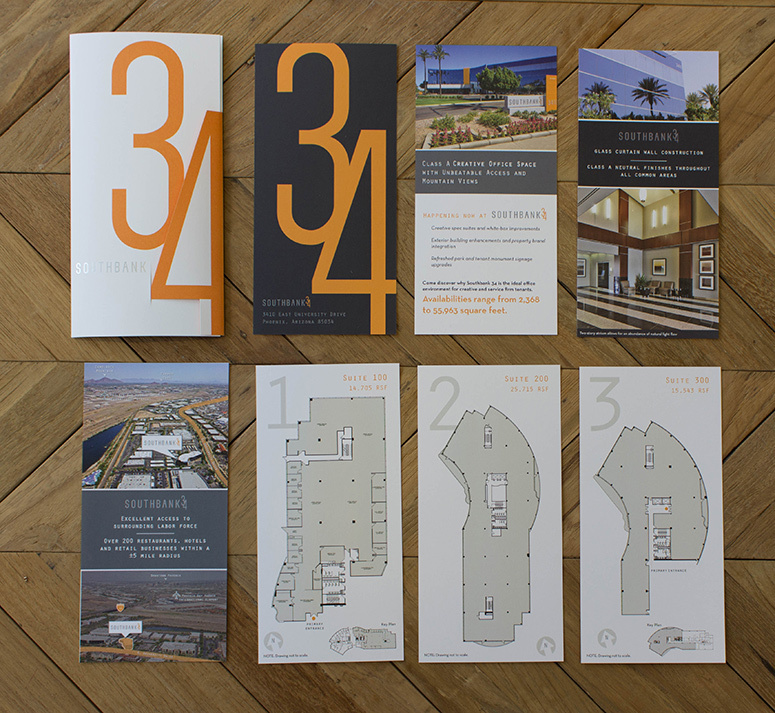 The '4' of the flap had to be cut vertically to give the flap enough stability to slide repeatedly. 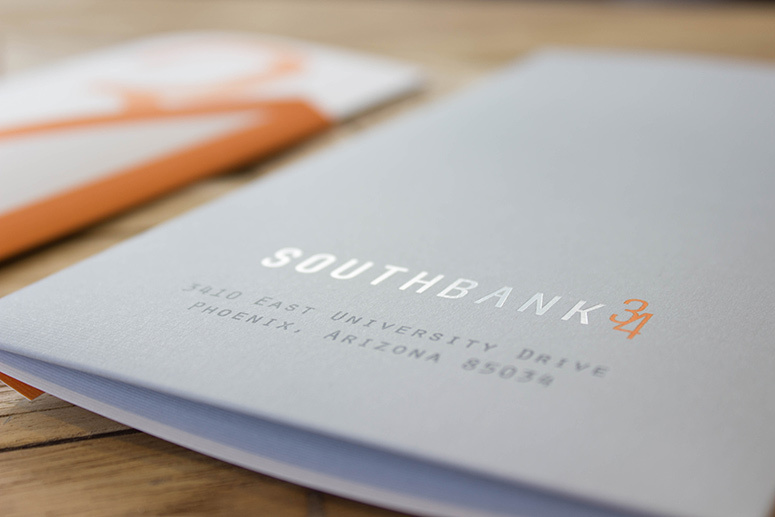 As part of a recent redesign of the creative office space building Southbank34 in Phoenix, AZ, Nimble. 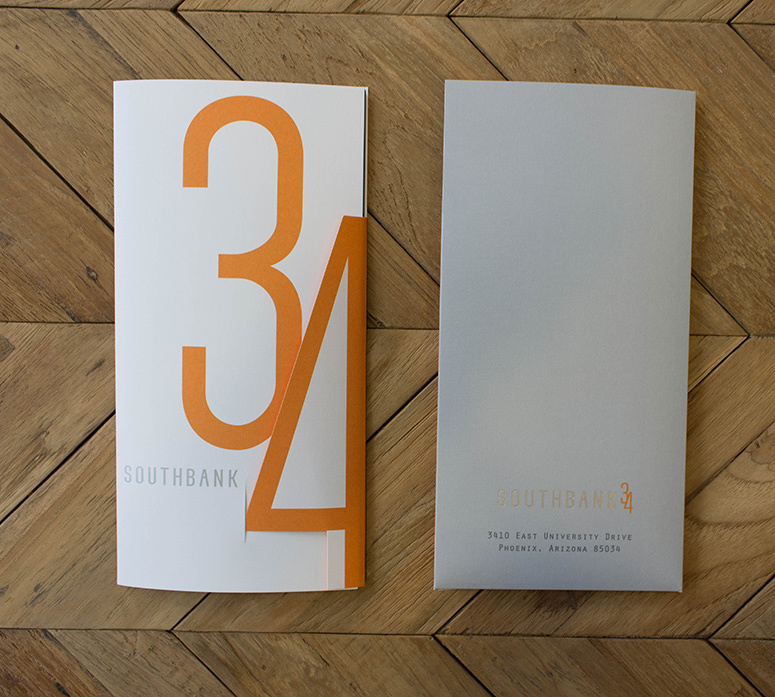 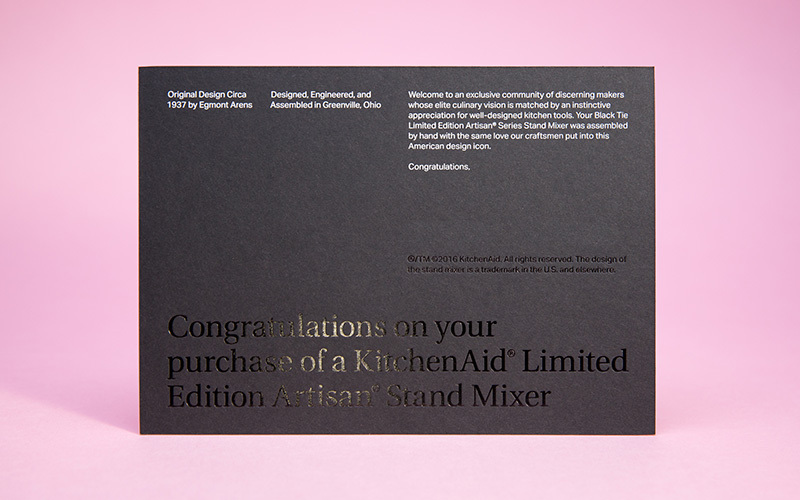 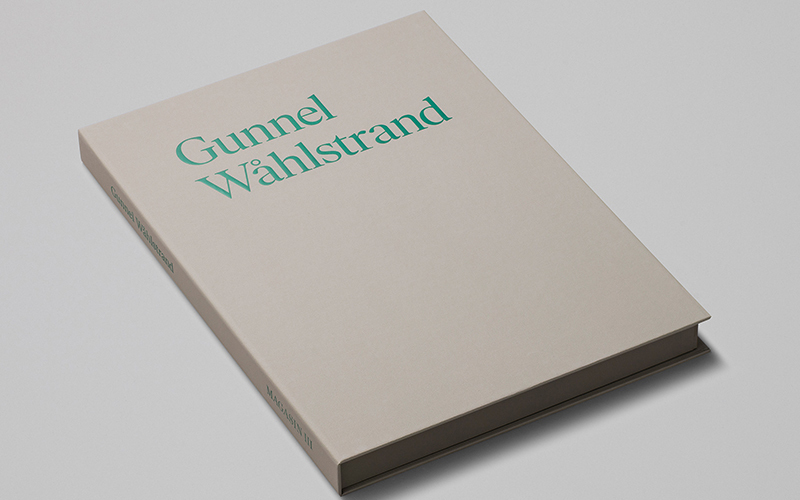 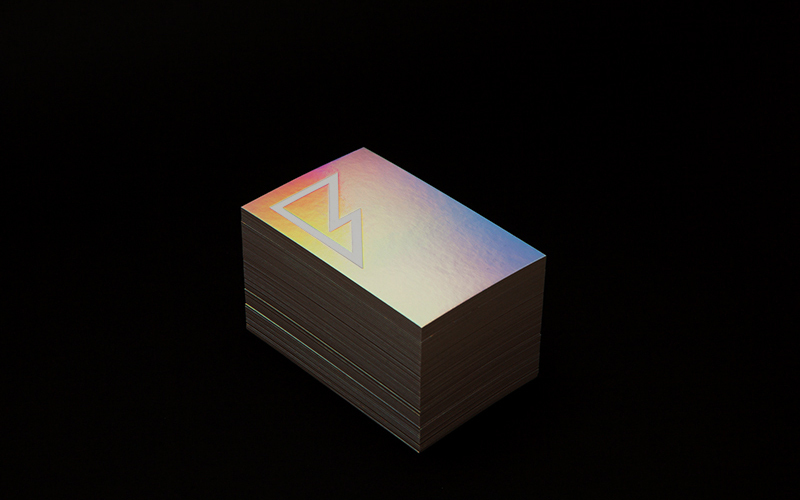 Design's pocketed brochure/folder stands out with silver foil and a clever flap enclosure.